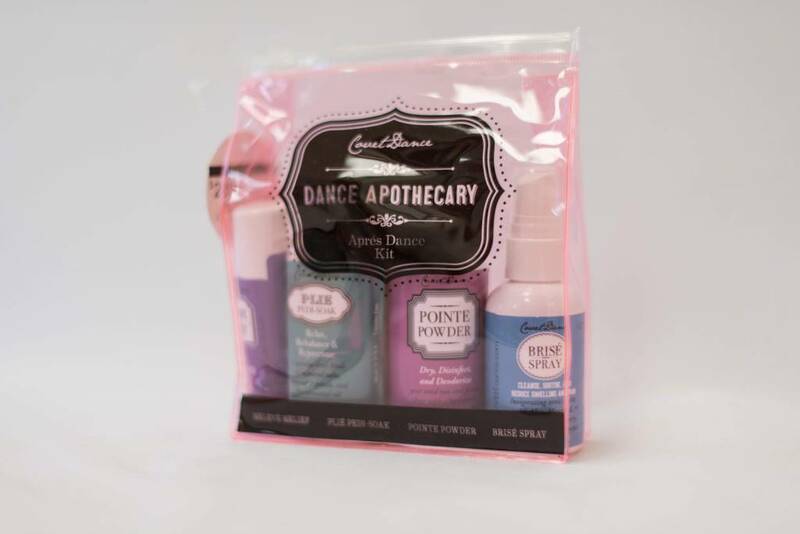 The Aprés Dance Kit is part of the new Dance Apothecary collection by Covet Dance. This “after dance” kit brings the relief dancers need to revive the senses, ease muscle pain, bruising and swelling. Inspired by vintage french apothecary design and classical ballet, the Aprés Dance Kit includes four artisan-made, natural products crafted to soothe, disinfect, and heal using naturally derived plant and mineral properties.